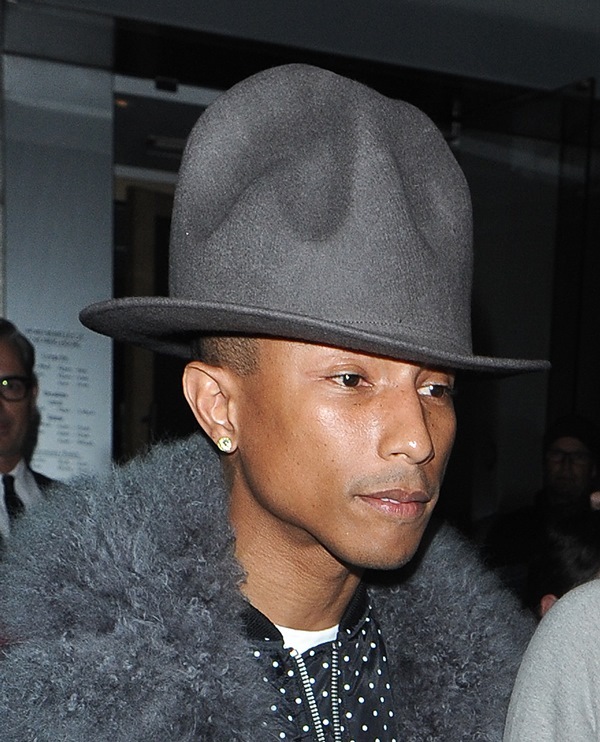 Pharrell’s Grammy hat. You remember? Of course you remember. It basically took over the whole show, with the exception of Yoko Ono. 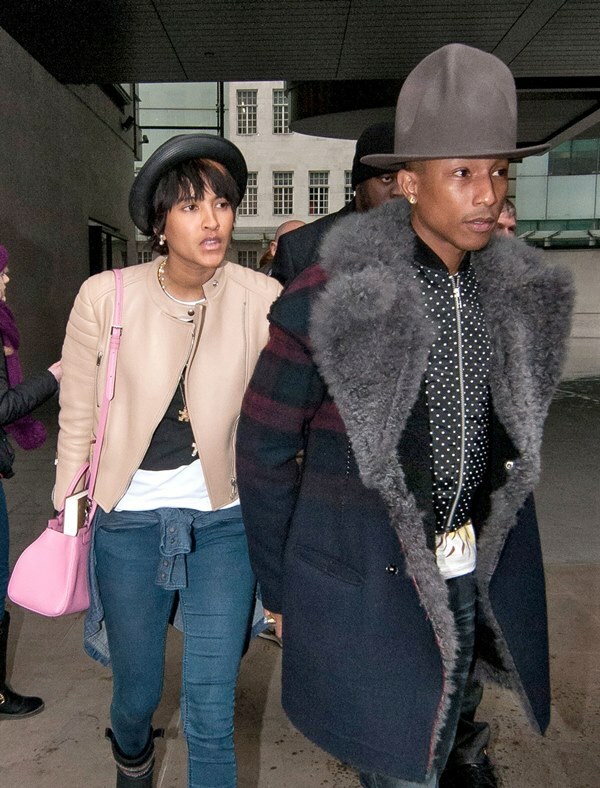 Pharrell and his wife were in London yesterday. 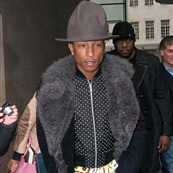 And he showed off the hat again only this time in grey, not brown. 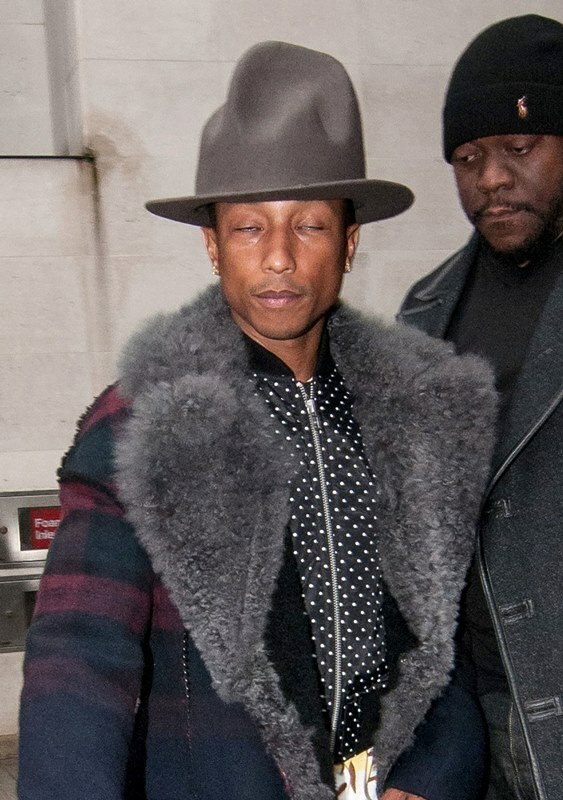 And a polka dot bomber inside a furry coat with plaid shoulders. And only he could get away with it all. 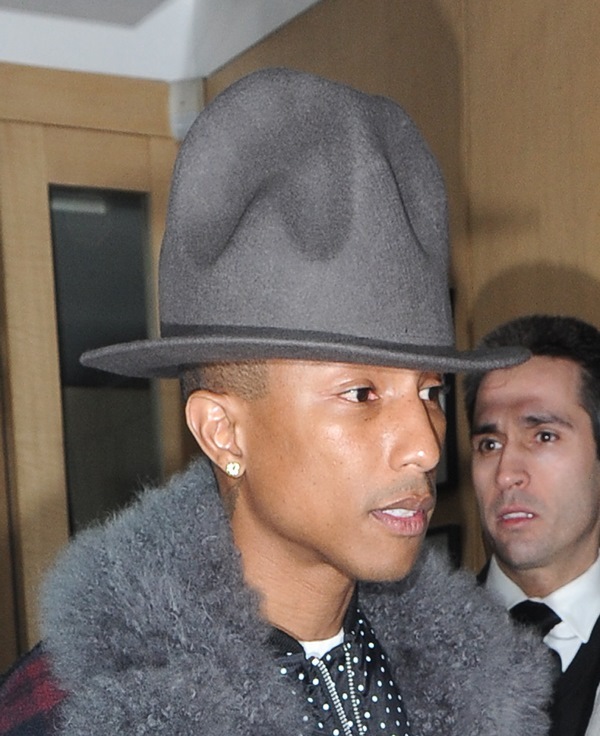 Remember, Pharrell is going to the Oscars. 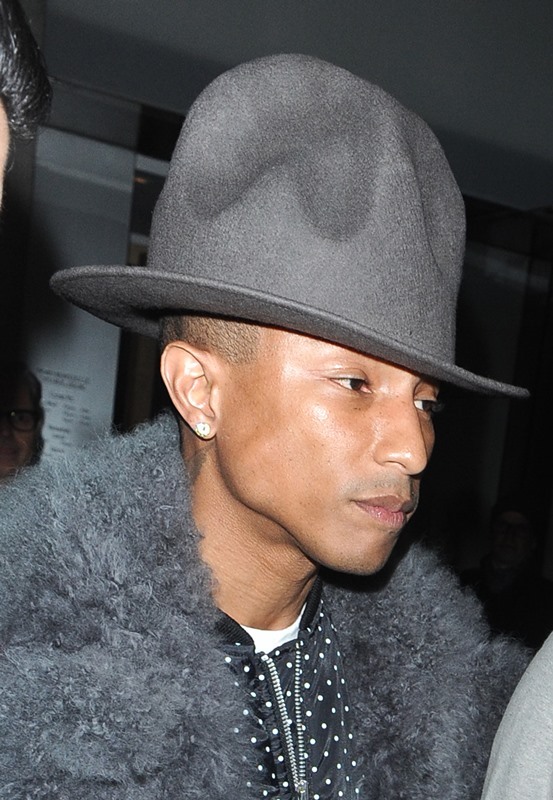 You think this hat comes in gold? I’ve a feeling he’ll scale it back for the Dolby Theatre though. Which will disappoint me. 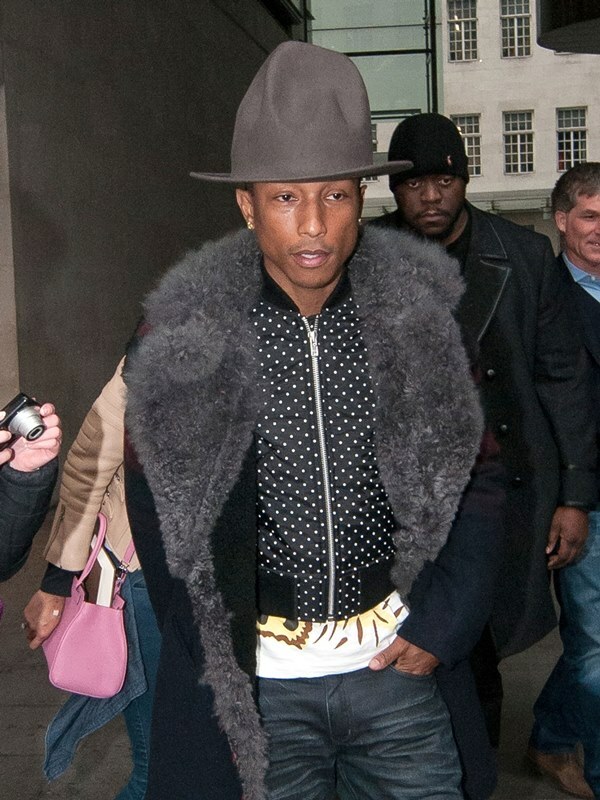 Because I’m ready to declare him Best Dressed right now without even seeing what he’s going to look like.